ERGT Australia is a leader in national oil and gas safety training. They provide professional and engaging safe training services using simulated environments to develop skills and behaviours which address safety-critical industry needs. Since 1994, ERGT has built a solid reputation in providing safety training for the Oil & Gas industry through people, processes, products and attention to detail. With eight training centres located in Western Australia, Darwin, Victoria, and an office in Brisbane; ERGT is well positioned to service the Oil & Gas sector as well as other high risk industries. The Australian Oil & Gas industry is leading the world in safety training initiatives and ERGT is committed to helping ensure that these programs are successful in further improving safety culture. Trainwest is a West Australian Registered Training Organisation (RTO No # 51807), specialising foremost in quality white collar training. They deliver qualifications across the areas of Training and Assessment, Leadership and Management, Business Management and Work Health and Safety; as well as the Construction, Mining and Oil & Gas industries. Trainwest is renowned for the high level of support they offer all their students. Their hands-on approach delivers a high student graduation success rate. Through partnership with Trainwest, ATC is able to deliver numerous Australian Nationally Recognised courses. ATC signed a cooperation agreement with Huisman for the joint offering of Offshore Crane and Offshore Rigging Training in Singapore; as well as other associated training packages and competency assurance solutions. With this partnership, Huisman / ATC are the only parties offering American API RP 2D & Spec 2C training courses for offshore crane operators, offshore riggers and offshore crane inspectors in Singapore. This makes them the only service provider in the Australasian region offering internationally recognised offshore crane training and qualifications to Australian, British and American standards at the one location. Huisman’s product range can be subdivided into six main categories: Cranes, Pipelay Equipment, Drilling Equipment, Winches, Vessel Designs and Special Projects. Products vary from stand-alone components to highly engineered integrated systems; from concept to installation and life time support. Globe Competency Assurance (Globe CA) is a privately owned company headquartered in Perth, Western Australia with offices around the globe. Focusing on mining and the oil & gas sectors in emerging markets, our core business is to develop and sustain a local and competent workforce. They build and implement the best competency and training solutions, integrated into the fabric of operations. Their understanding of learning styles, cultural differences and challenges working in emerging economies, coupled with a deep analysis of operational requirements ensures outcomes are purposeful for the client, the individual and the community. Noble & Son Ltd. (Nobles) is a major Australian supplier of lifting, rigging and height safety equipment and associated services. Nobles also have in-house engineering design capability for bespoke technical engineered solutions. Nobles is a 100 year old Australian owned and operated company with branches Australia wide. Main product groups include wire rope and associated end fittings, chain sling systems and lifting and lashing points. Other products include general rigging hardware, hoisting, winching and materials handling equipment and height safety systems. Nobles has a range of associated services ranging from lifting equipment inspection, repair and proof load testing through to specialised services such as non-destructive testing of wire rope. Nobles customer base consists of large corporate customers through small to medium enterprises. We service major industries such as mining, oil and gas production, engineering construction, mineral processing and defence. 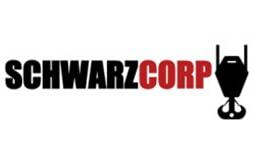 SchwarzCorp Pty Ltd can provide a wide range of offshore services for companies and individuals. Their skilled professionals are experienced and licensed to international industry standards. They can tailor specific offshore crane inspections and training to meet your company requirements, including Verification of Competency (VOC) assessments. Their High Risk Work accredited trainers are specialised in providing quality on-site training within the metropolitan area, DIDO or FIFO. ATC is a Training Provider for Australian & International Offshore Crane Operator Licensing and Certification.